In the TV show The Big Bang Theory, Howard Wolowitz and Raj Koothrappali used a 3D printer to make miniature models of themselves and a whistle. While we do know that everything is possible when it comes to Hollywood, it makes common people like us wonder if there are practical uses to a 3D printer. 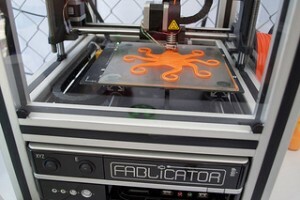 3D printing can be used for more than just churning out toys. There are many practical, everyday things that can be manufactured using a 3D printer from the MakerBot’s Thingiverse, a repository of 3D printing projects. A penholder made from a 3D printer is perhaps one of the most striking projects to be found on the website. An orange tree-like stand that has holes for the many pens you need everyday will make a great addition to your office desk. Yes, you can print out a lamp using a 3D printer, just make sure to attach a socket some bulbs and wires to it so that you can turn it on. A guitar pick is a practical and easy job for your printer. If you have a light switch cover that is cracked or broken and you have a 3D printer, then you can easily churn this out at the comfort of your home. If you’re one of those people who keep losing their USB thumb drive, then this would look great next to your penholder. If you’re tired of your smartphone looking just like everybody else’s then why not make your own customized design and print it out?